If you are a parent who hasn’t heard the question “When can I get a cell phone?” you are very lucky. My oldest son asked for a cell phone when he was 10, my middle son is 6-years-old and he asked for one just a few months ago. I’m not the type of parent who fears technology, more so, I fear what the children will do with the technology. Kids are kids are all day which means they have a limitless amount of creativity and ingenuity and can devote alot of time to turning well-intentioned machines into devious ones. If you’re like me, you stay abreast of new technology, but can’t beat your kids at it. Let’s face it, they’re smarter than we are. But luckily, there are some cellphone companies that have beat our kids to the punch by designing phones that allow our children to effectively communicate without the danger of too much Internet surfing, sexting or running up your cell phone bill. Here they are. 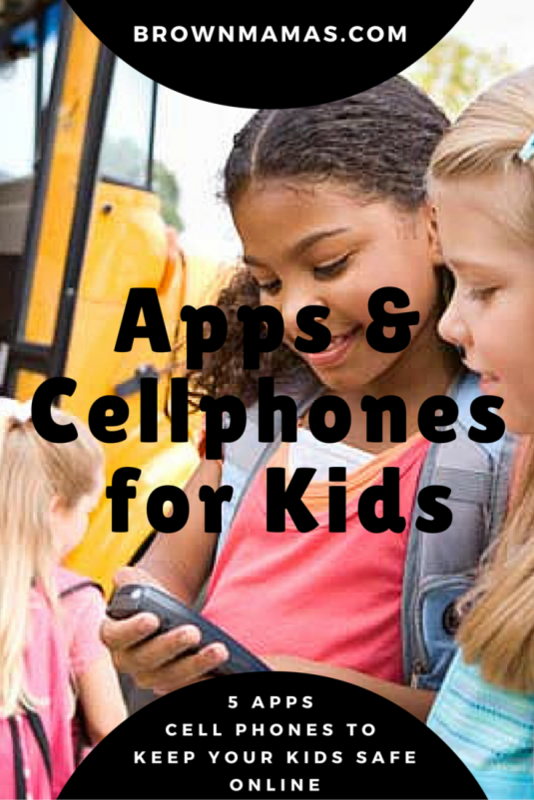 This is one of the better kid-friendly cell phones out there. It ranges in price from $100 to $400. Kajeet service plans range from $5 to $50. Plus, you can activate an old Sprint phone for free. Kajeet blocks unwanted call and Internet access at the parent’s request. It allows parents to set up a ‘Kid’s Wallet’ that can be used for date usage that goes over the monthly allowance and the phone is equipped with GPS tracking. If you like Kajeet, you’ll also like Kurio. Kurio touts itself as the safest smartphone for kids. Unlike Kajeet, Kurio has a distinctly childlike look and is only sold at Toys R’ Us for $99.99. While your teenager would probably laugh at Kurio, it’s a great phone for kids 10 and under. It does everything Kajeet does, but everything can be tailored by mom and dad including apps. It also allows you to view web history unlike traditional cell phones. This phone can be activated by most cell phone service providers. If you already have a cell phone and family plan, just get Net Nanny. I have Net Nanny for my son and it coves a multitude of sins. From setting time restrictions to blocking videos, apps and inappropriate Internet activity, it lets nothing through. It also send you a weekly report of any suspect activity. It even blocks your child from accessing certain functions on the phone like Settings and Wi-Fi. It cost $12.99 for the year, and is one of the best technology investments I’ve every made. My son hates it, but hey that’s life. TeenSafe is similar to Net Nanny, but is for iPhones. TeenSafe has several awesome features that make me wish I had an iPhone. It allows parents to track social media actions on Twitter, Facebook and Instagram and also sends parents a detailed report of incoming and outgoing phone calls and text. It also does the usual internet blocking, GPS tracking. However, it is more expensive than NetNanny at $14.95 per month. no problem Tia. Yes, we put Net Nanny on my oldest son’s phone before we even gave it to him. Since he knows it’s on there, he doesn’t even try to do anything fishy. Thanks for posting this article. I will, with out a doubt invest in Net Nanny. My daughter is 11, she has had a cell for for about a year out of necessity. I haven’t had many problems as of yet, and I’d like to keep it that way. The statistics are staggering in terms of negative information that can be accessed on line by our children. It’s actually scary. In addition to what I’m doing to protect my child, it’s nice to know progressive, forward thinking companies create apps to keep our children safe. Thanks again for posting.